Recently a science team at Oregon State University - led again, I am glad to say, by a woman - Professor Hong Liu, have developed a microbial “fuel cell” that can produce electricity directly from sewage and other waste water. This ability of microbes has been known for a long time but the new approach can achieve 10 to 50 more times the electricity than previously possible. The research team believe their microbial fuel-cell method could eventually change the way that waste water is treated all over the world. 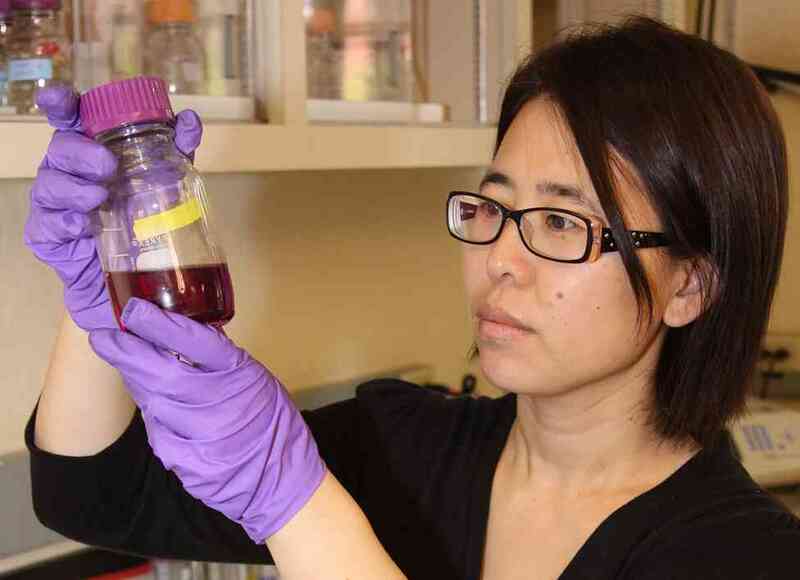 Professor Hong Liu is seen holding a jar of "fuel", she believes the system will work on a commercial scale and will turn sewage treatment, currently a net energy user, into an energy producer. The team reckon that their method works more efficiently than the current alternative; anaerobic digestion to producing methane. It doesn’t have any of the environmental drawbacks of anaerobic digestion such as hydrogen sulphide production or the possible release of methane to the atmosphere. The “sewage” fuel-cell technology cleans the waste differently, bacteria oxidize the waste and in so doing produce electrons that activate the fuel cell creating electricity. Almost any type of organic waste material can be used to produce power. The next big – big step for the team is actually getting it to work in the real world, and at a reasonable cost.